One of the things I really appreciate about my CSA is that each week, they email a list of expected items along with some recipes for using them. This week, I used the recipe they shared for herbed and spiced turnips. 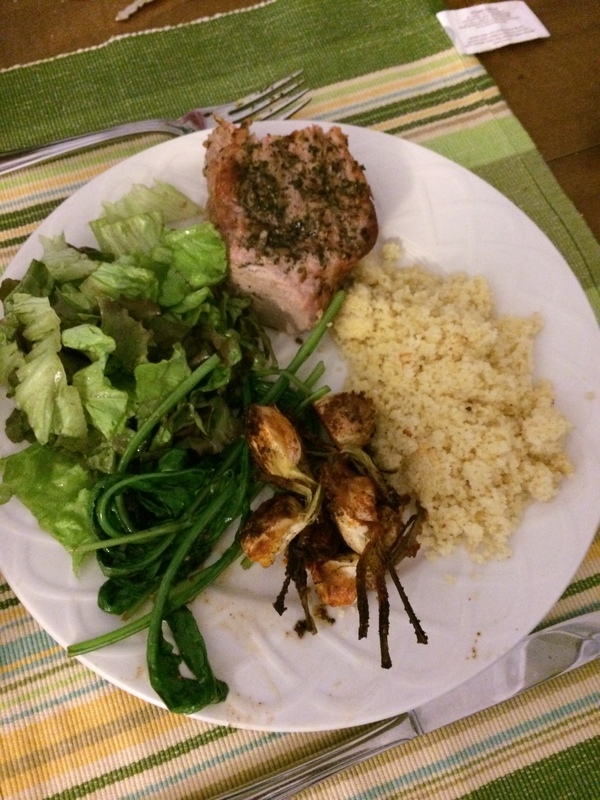 Paired with a green leaf lettuce salad pork tenderloin (crusted with Greek seasoning, salt, and pepper, seared on the stovetop and baked until done) and some couscous, this dinner was a huge hit. The only downside was that the “half share” lived up to its name, as there were enough turnips for 3 servings, and no seconds!